Christmas time is here and we were feeling nostalgic while watching A Charlie Brown Christmas…how can you not?! 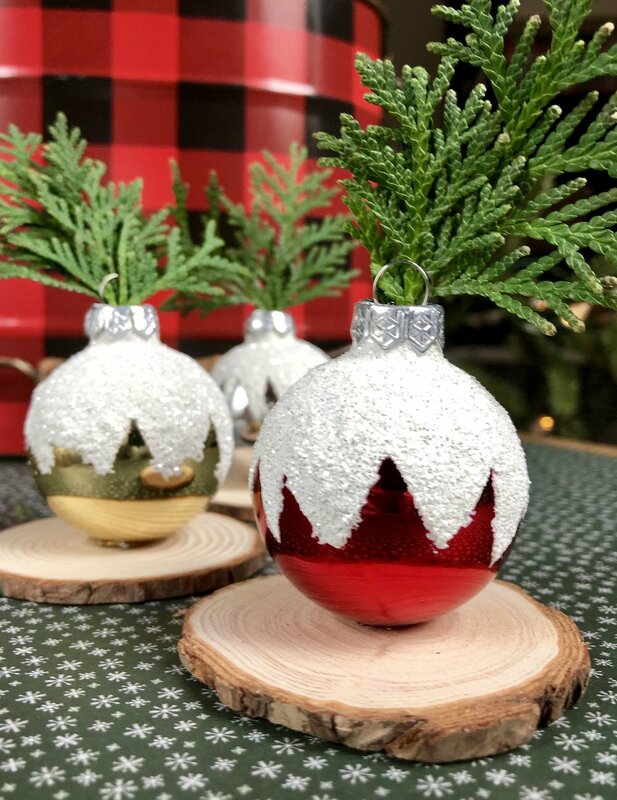 We decided we wanted to put our own twist on the iconic little Charlie Brown Christmas tree by turning dollar store ornaments into little “tree” vases! Create a clean line around the ornament by slightly overlapping small pieces of triangles cut out of tape. *Washi tape gave us a cleaner line than painters tape. Remove the silver top before painting and set aside. Paint the top of the ornament with white acrylic paint. 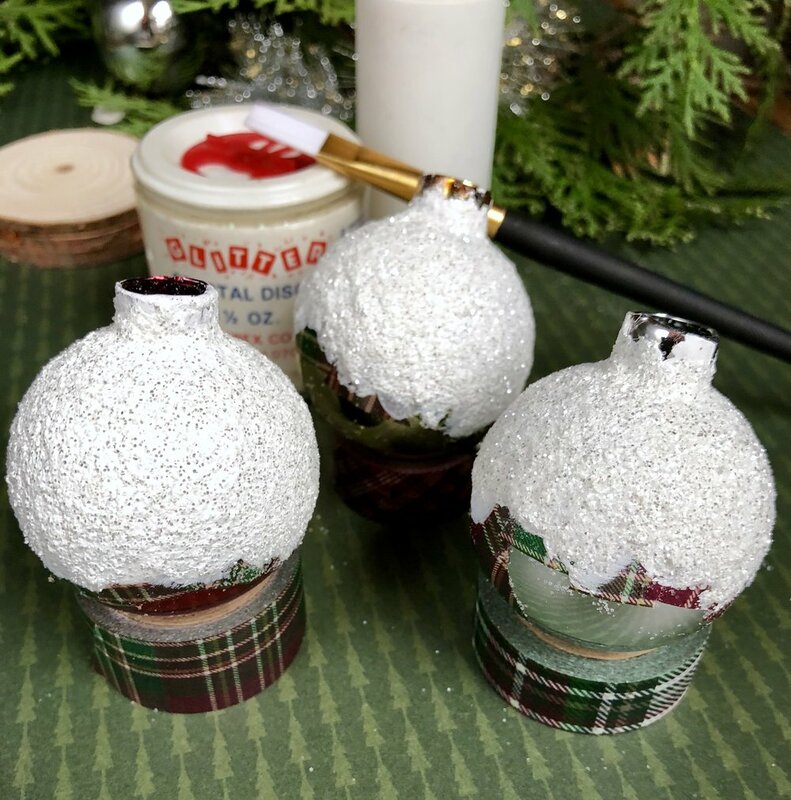 *Paint from the washi tape using brush strokes towards the top of the ornament. While the paint is still wet, shake on a hefty amount of “snowy” glitter. Once completely dry, peal off washi tape and clean up any uneven edges by scraping with your finger nail. *It most likely won’t be perfect but adds to the fun vintage feel! Place silver top back on, hot glue to a wood base and add some greenery! How cute would these be on your Christmas table? And “good grief” these would make perfect little gifts!